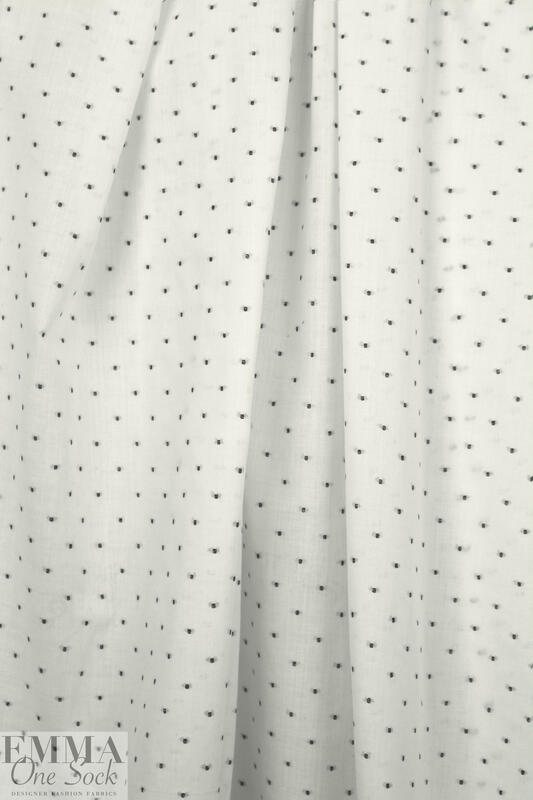 This is a lovely quality swiss dot woven shirting from a NY designer. 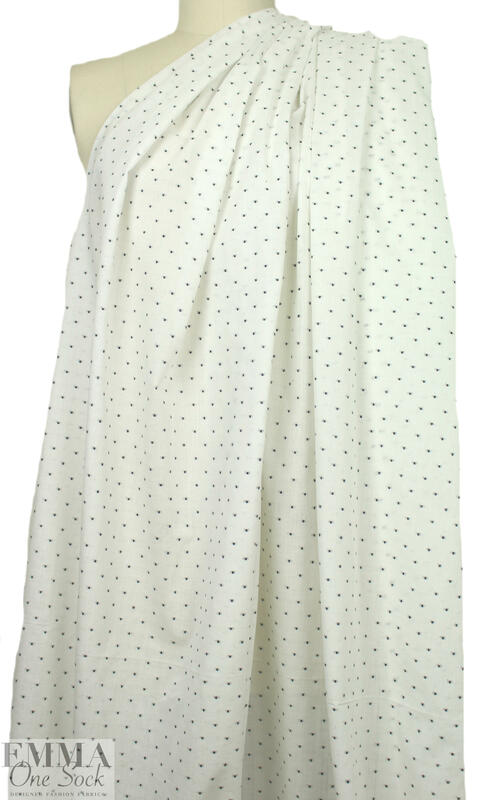 Lightweight and a little sheer, it has a soft drape and a clipped weave to create the dots. 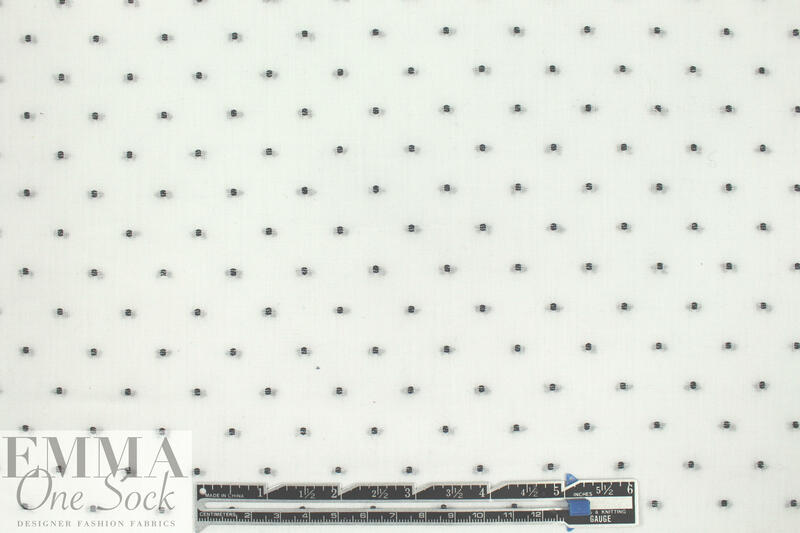 The colors are black and white, and it is perfect for a shirt blouse, tunic, etc. Test first for hand washing in cold water, hang to dry.